What aspect of your wedding bothers you the most? Organising your own wedding can be super stressful. Sure there are some amazing wedding planners out there, but not all of us can afford a wedding planner any easier than we can afford someone to clean our house for us. Couples dream of hiring wedding planners, but that doesn’t mean organising your own wedding needs to turn into a nightmare. If you have drawn up a budget for your wedding then I’m sure you’ve spent many nights staring at the ‘cost’ column, and taking another slug of wine before you feel brave enough to look at the ‘total cost’. 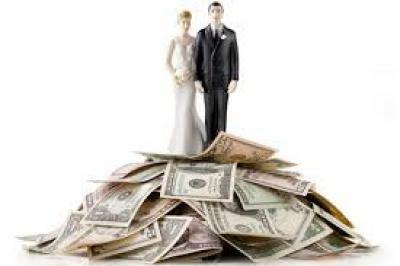 If you haven’t drawn up a budget for your wedding then I admire your wild spirit. You’re a maniac. Unless you’re that crazy couple who is figuring out the money needed for a kickass wedding ‘on the fly’ you’re probably going to hit a point that you have to start removing things from your budget. Unless you’re stinking rich of course, in which case la de dah good for you! So when you need to start saving money what’s the first item for the chop? Do all guests really need table favours? Are you sure the church should be so crammed full of flowers it looks like pews were planted in a manure heap? Is that classic Rolls Royce you had your eye on really need to be the cornerstone of your entire wedding? Probably not. The folk who hire out those cars seem to get the hump when you take them for a spin without asking. I reckon if you pay the huge hire fees these people charge you should at least be allowed to have some fun with the car during your special day. What could possibly say ‘love’ more than doing massive donuts and burnouts in the church car park before that fella in the black robes does all that ‘do ya?’ stuff? I’m going off-topic, and believe me, the ‘burnouts’ was the cleanest idea my filthy mind came up with. There are lots of choices you can make about your wedding day that will smash your bank balance, so how do you decide what to splurge on and where to be a tightwad? Longevity could be the answer. Sure it’s nice to stuff your friends and family full of the best food and wine, I’m also quite partial to a nice bunch of flowers so agree that it’s nice to have some decent blooms livening up the place. If you’re into cars then hell, why not get something flash. But these things, and many other wedding ‘stuffs’ is fleeting. The food will be eaten, the flowers will pass their best and that grumpy bloke who wouldn’t let you eat KFC in his classic car will bugger off out of your lives. The photographs of your wedding will last for generations. But then I would say that wouldn’t I.